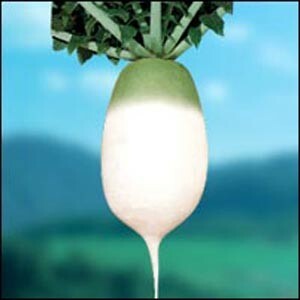 Baekwoon is a hybrid Korean radish. 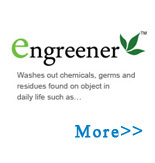 The root with green shoulder has an attractive shape and few branches or secondary roots. This variety is developed for growing from late summer to winter. Plants grow poorly and may fail to produce radishes in warm weather conditions. Flesh is firm and delicious. Roots can be stored and remain fresh for up to 4-5 months in winter. 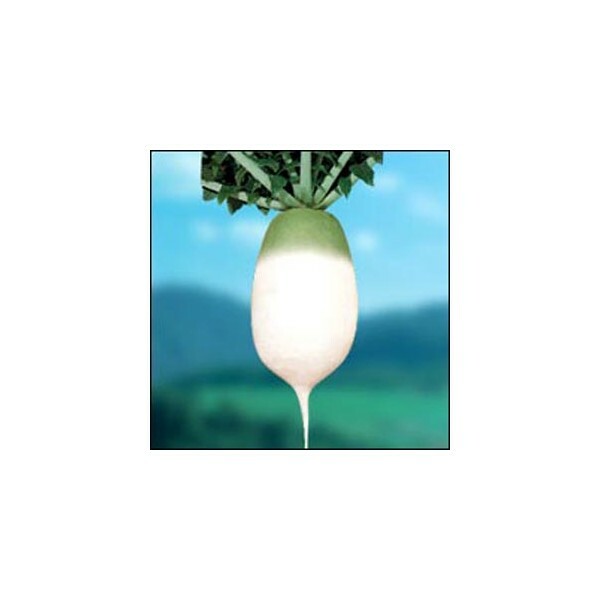 This radish is very popular for cooking and making kimchee in Korea.